Morning, Noon, and Night. 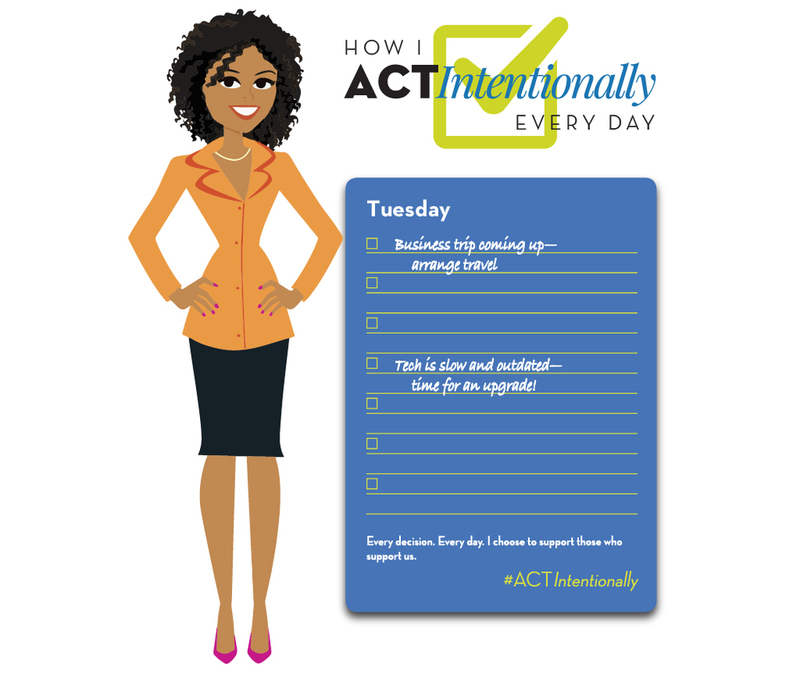 As we move through the day, we have many opportunities to support the WBENC network. 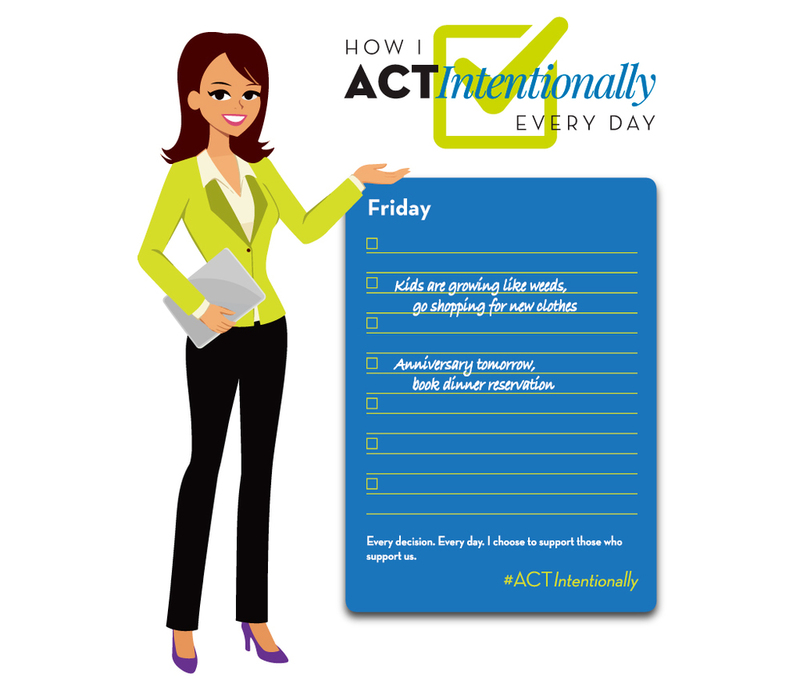 How do you ACTIntentionally? The Women’s Business Enterprise National Council (WBENC), along with its 14 Regional Partner Organizations (RPOs), is the largest third-party certifier of US businesses that are at least 51% owned, operated, and controlled by a woman. The commitment, engagement, and energy of Corporate Members are what make WBENC, our RPOs, and our mission to be the leader in women’s business development possible. 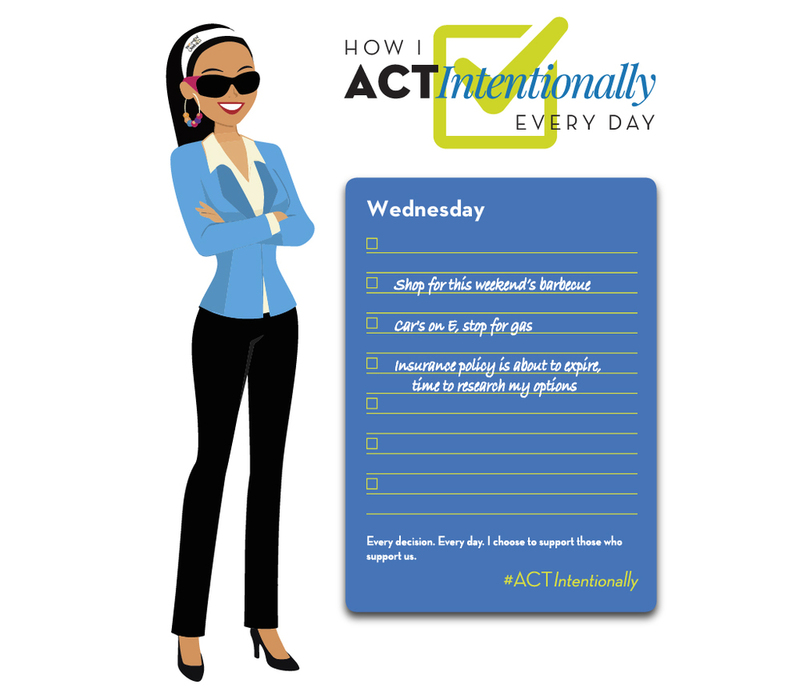 ACTIntentionally is a WBENC campaign that enables us to show our appreciation for our Members. Wheels, wings, rail, or road. When I travel, I have a choice. I choose to support those who support me. Hardware, software, devices, and more. When I need a solution, I have a choice. I choose to support those who support me. Gas, wind, water, air. When I need energy, I have a choice. I choose to support those who support me. 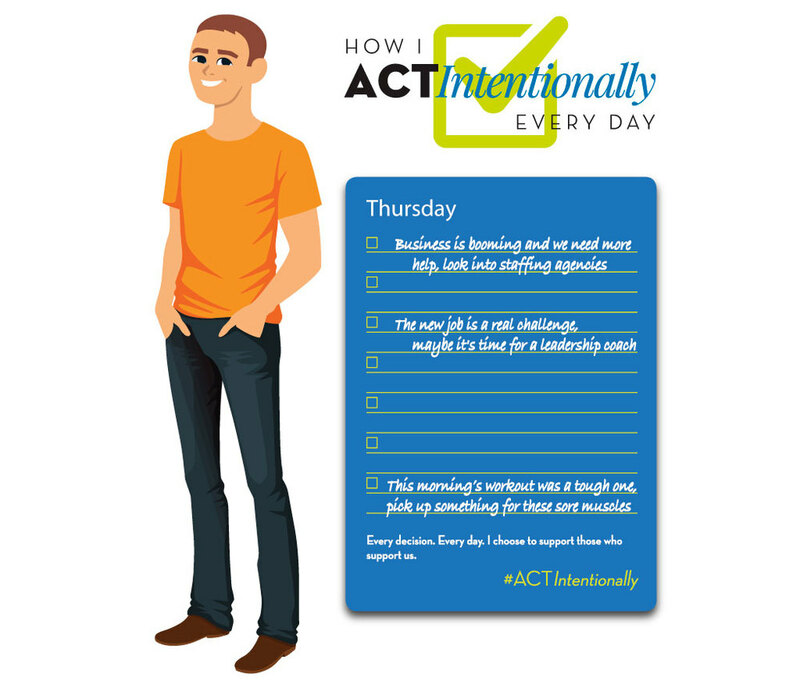 Consulting, developing, marketing, or staffing. When I need professional services, I have a choice. I choose to support those who support me. Clothing, computers, groceries, or gas. When I am shopping, I have a choice. I choose to support those who support me. Big screen, small screen, dinner, or drinks. When I need entertainment, I have a choice. I choose to support those who support me. Large or small parts, invent or move parts. When solutionning my supply chain needs, I have a choice. I choose to support those who support me. Luxury, midsize, van, or SUV. When I need a vehicle, I have a choice. I choose to support those who support me. Save, spend, invest, or insure. When I need financial services, I have a choice. I choose to support those who support me. Doctor, dentist, prescription, or prevention. When I focus on health and wellness, I have a choice. I choose to support those who support me.